Know Your Needs Before Choosing a WordPress Theme! Price – Onetime Purchase or Renewal? Today, we are going to discuss on choosing a WordPress theme for your website or blog. I hope you reached on this page for finding out the qualities of the best WordPress themes. As we all know, WordPress is the most popular blogging platform in the world. 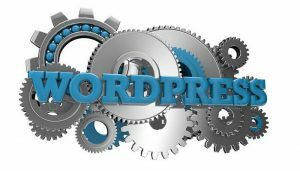 The features like open-source, themes, plugins make the WordPress platform more well-known than others. One of the most noticeable features of WordPress is that you can start your website within a few minutes after installing WordPress software and choosing a free or premium WordPress theme based on your needs. Every website needs a design. The design of a website is one of the most important aspects that needs to be considered in the initial stage of a website or blog development. Usually, creating a unique theme for a website requires a lot of money and time. But, in WordPress, there are millions of easy-to-install and configurable themes are available. All you need is to choose a perfect theme for your website and install it. Then you are done! Before selecting a suitable WordPress theme, you can consider the suggestions I am going to discuss here to make your website more attractive, beautiful and search engine friendly. So, let’s start! What type of website that I’m going to start? Is it a blog style website or a regular site? What are the main features required for your website? Are you expecting good ranking and search engine traffic to your website? 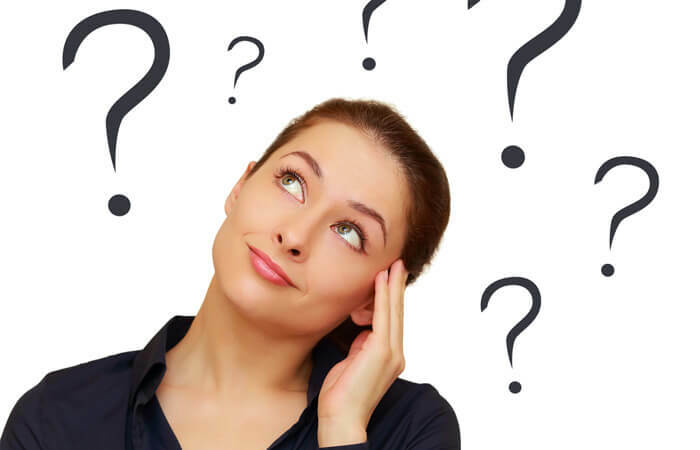 The first question is about the type or structure of your website. WordPress is usually used to build unique looking websites like company sites, portfolios, job portals, classified websites, etc. Or you can create a blog style website like WebWacko. So, if you are looking for a “unique website theme”, choose a feature-rich theme that includes page builder and some additional features to build unique pages. Or you can go with a simple “magazine style blog theme” to make a blog for publishing your articles. The next question is about the additional functionalities required for your website to fulfill you needs. For example, if you are going to build a WordPress wallpaper site, then you need a special theme framework for building that website. So, you have to choose a theme that is particularly designed for wallpaper niche sites. The final question is about the search engine visibility and ranking. If your primary target for creating a website is for earning traffic from search engines, then you need to choose a Search Engine Optimized WordPress Theme. But, if you are doing blogging for fun, you don’t need to focus on the search engine optimized WordPress themes. Nothing in the world is free. If you are getting a theme for free, that means you are losing something! Premium themes are highly customizable and can be white labeled. Design & Code quality will be very high. A lot of extra features & functionalities. Regular updates and bug fixes. Dedicated support for theme compatibility with existing plugins and CSS customizations. I’m not telling that all the free themes are bad. But, I can say that the free themes always have limitations in customizations and features. Don’t prefer complex theme designs. Pick a light-weight, simple and minimalist theme for a faster loading website. The minimalist designs are user-friendly designs that are mainly built for simple blogs and websites. Meantime, the heavy themes are designed for websites that have lots of pages. You may require a significant number of pages to make the website looks like a demo that is presented by a developer. The best example for heavy WordPress themes are the “Review style WordPress themes”, that are commonly available in the market. Heavy websites require a fair amount of server resources and at the same time users may need a faster internet connection to display the page completely. So, choose a theme based on the number of posts you have. If your blog posts are outstanding and useful, then no one will care about your website layout! Technology is moving very fast. Most of the internet users are now online with their smartphones, tablets, iPads and other portable gadgets. According to Facebook, most of their users are accessing Facebook using mobile phones and tablets. So, you need to keep in mind that your website should be working fine in all the smartphones and tablets. For this, you need to choose a responsive WordPress theme for your website or blog. For checking the responsiveness of a website, use Google Responsive Test Tool to make sure that the theme demo is responsive or not. The Theme framework is a code library that is used to develop a theme. The framework is also known as the core part of the theme. The quality of the framework plays a vital role in the overall quality of the theme. So, you need to choose the best theme framework for maintaining robustness of your website structure. There are many WordPress theme frameworks are available today. One of the most popular WordPress theme frameworks is the Genesis Framework by StudioPress. I bought Genesis a few years ago and delivered many projects using it. I love Genesis! Genesis framework is SEO friendly and robust. Thesis and Divi are the other most popular WordPress theme frameworks available in the market. So, before choosing a WordPress theme, make sure that your theme framework has good quality. At the same time, most of the modern themes have their frameworks, which is also good. For example, Avada, Newspaper 7, etc. are using their frameworks. Alt tags for the thumbnails of the posts. The total number of internal links utilized in a page (More than 100 links are not recommended in SEO). The similar post structure for blog posts. I haven’t mentioned any primary SEO features like meta title, meta description, meta keywords, canonical URL’s, sitemaps, etc. Because, most of these features can be easily implemented using WordPress SEO Plugins like Yoast SEO, All in One SEO, etc. So, all you should consider is the basic SEO structure used in the theme by analyzing the points as mentioned above. I have seen many websites that are not compatible with some modern web browsers. This kind of compatibility issues will result in huge amount of traffic loss. All you need is to make sure that your theme loads well in all the modern web browsers as well as some famous old browsers. From my findings, I can say that still many of the non-technical peoples are using old and outdated web browsers. Can’t we lose that traffic right? So, choose a theme that is fully compatible with all the web browsers to ensure good traffic. Using the URL of your theme’s demo, perform a browser compatibility test by using browsershots.org to make sure that your theme loads correctly in all the web browsers. Plugins are used to increase the functionality of your WordPress website. There are a large number of free and premium WordPress plugins now available. While choosing a WordPress theme, you need to make sure that your most required plugins that are currently using in your website are compatible with your theme. You can contact the theme developer for confirming the plugins compatibility. From my knowledge, I can say that most of the traditional WordPress themes will support most of the popular plugins. But, there are exceptions, that’s why I’m mentioning about plugin compatibility. Authority of the developing company/developer. Authority of the theme framework. The popularity of the plugins included in the theme (For example, most of the traditional themes use third-party slider plugins to implement slider feature within the theme). Check the coding style used in the demo (If you are good in programming). Customization and ease of configuring a theme will make your life easier. If the theme allows you to customize everything from the control panel, then you don’t want to spend a lot of time for customizing and optimizing the theme by manual coding. I have purchased many premium themes for the projects. Some of the themes have all the customization options, but some don’t have that much of customization options. Let me tell you a single example for “Ease of Customization,” when you want to add code to the header of the theme. For adding code to the header, you need to add that code in header.php of the theme file. But, if your theme has a good control panel, the control panel has an option to put the custom code in the header & footer. So, you don’t need to update the theme files manually. Page builders are used for creating unique pages by visually editing the page in real-time. Usually, a regular blog style WordPress sites don’t require a complex page builder. 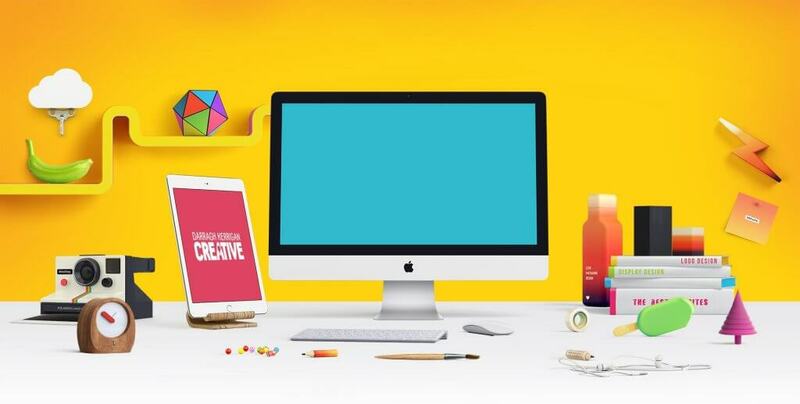 But, if you are designing a website for your client, or company using WordPress, then you should consider a theme that comes with a page builder. One of the best page builder for WordPress is Visual Composer. Most of the themes are compatible with Visual Composer and sometimes the themes include Visual Composer plugin. So, you don’t need to buy Visual Composer separately. Some of the themes have their own page builder module to design the pages. The problem is that not all the themes are compatible or comes with page builders. So, make sure that your theme is compatible or comes with any page builder plugins. Good color combination for background and text color (I have seen many websites that are using a black background and dark blue as text colors!!). Proper space between the lines of the text. If you consider user experience during the WordPress theme selection, I’m sure that you can improve your website’s bounce rate! I know these features can be easily implemented using a broad range of plugins. But, as I said before, plugins will affect your website performance. So, if your theme has all these features, you can avoid many plugins! The Widgets are small blocks that are used as sidebars of WordPress themes. Widgets are capable of displaying different functions of themes as well as the installed plugins. Most of the modern WordPress themes have many customizable widget areas that can be particularly shown based on the rules; like, show widgets only on a category, page or even posts. So, we will get an unlimited option to configure and display widgets on our websites. Not all the themes have these features like custom widget visibility, social media integration, similar post integration, etc. So, before buying a WordPress theme, make sure that the theme has these custom widget features & customization options. The Internal links are the hyperlinks that link from one page of the website to the other page of the same website. Internal links are critical for SEO. If your theme has a good proportion of internal links between the pages of your website, that will boost your website rank. Usually, theme’s menu navigation, similar blog posts, breadcrumbs, custom widgets & footer links are used for internal linking. So, make sure that your theme has these internal linking structures. In addition to this, you need to confirm that each page should have a maximum of 100 internal links in total. Because, according to Google, if the page has more than 100 internal links, then it will trigger spam. Below post & page title. Half of the post content. If your theme allows you to place ads in the locations as mentioned above, you can easily monetize your website without manually editing the code. If your website is in a different language, you need to make sure that your theme is multilingual & translation ready. I’m sure that not all the themes are supporting RTL & LTR at the same time. So, before choosing a theme, double-check that the theme is multilingual and translation ready. Upgrading automatically from the WordPress dashboard, when we got a notification regarding the new release. Manually downloading the latest version from the developer’s website and upload and replace the old version using FTP or file manager. What I’m telling is that professional theme developers will allow their customers to update theme from the dashboard by avoiding all the messes. This feature is known as the one-click auto upgrade. For enabling an auto upgrade, all you need is to save your purchase license in the theme settings to get authentication to the update server of developer’s website. Therefore, if you want to save your valuable time, then proceed with a theme that provides auto-upgrade option! Before buying a WordPress theme from any website, it will be recommended to check the update log or the theme’s changelog file/page to analyze the update frequency released for that particular theme. If you can see a regular update entry on the changelog, you can confirm that the developers of the theme are working hard to improve their theme for making compatible with the latest version of WordPress and for the bug fixes. For this reason, it will be better to choose a WordPress theme that constantly release updates. Let’s support the hard working developers! If you are not good in programming & technical things, you certainly need to deal with the developers for getting bugs fixed and small customizations of your theme. In that case, it will be good to select a theme from the developer who provides the best support to their customers. I think support is a major factor for all the WordPress administrators. If somethings goes wrong because of the theme, then you may need to contact the theme developer to determine a solution for your issue. Usually, professional developers are using support forums, tickets and email support for providing good support to their customers. So, while making a theme selection, confirm that your theme developer provides excellent support for their clients. Experience makes everyone perfect. I hope you also agree with this point. Before making a choice, please be sure that you are purchasing your theme from a well-reputed company or an experienced developer. This can ensure a high quality of your theme. It is very usual that people trust the brand that has years of experience in their industry. If your theme vendor or developer is showcasing their total number of sales of their themes, pick a most suitable theme that has a good number of sales. The reason for saying this criterion is that if that particular theme has more sales than other themes, then there will be more likely to get frequent updates and more features to the theme. Because people like that theme! So, considering a theme that has large sales volume is always a good idea! Documentation is a detailed blueprint of a theme. It includes all the walkthroughs and tutorials required to configure that theme fully. A professional premium WordPress theme will have a complete documentation & tutorials. Referring theme’s documentation will help you to setup your theme same like the demo that the developer presented on their website. Therefore, a perfect WordPress theme must have a detailed documentation! A theme purchase may happen when we are satisfied with the presentation of the theme’s demo. If you want to make your website same as the demo, the theme developer should provide the demo XML file. Professional WordPress themes like Newspaper 7 (The Current theme of WebWacko) will allow users to import the demo/configuration from the theme’s control panel using a single click. Honestly, I love this feature. For my website, I imported the configuration only. This import function will help us to complete our theme installation within a few minutes! I hope you also love this features. So, if you want these kinds of options, select a theme that has a good number of demos with easy import options! 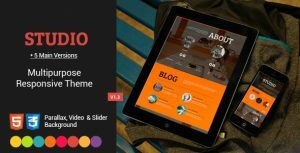 If you are a blogger who doesn’t have much investment in purchasing a theme, then you should consider an affordable WordPress theme that suits your budget. For buying a theme, there are two options are now available – One-time purchase (Includes Lifetime Free Updates) & One-time purchase with yearly renewal (You need to pay for updates on an annual basis). Updates are vital. It includes bug fixes. Whatever you choose, you need to update your theme whenever the developer releases an update. Nowadays, One-time purchasing options are very rare. Because releasing updates cost time and effort. So, you may need to pay for updates to maintain the theme up-to-date. But, there are few reputed websites stilling allowing one-time purchases with few limitations. The best example is Themeforest. From Themeforest, you can buy themes as a one-time purchase. You will get lifetime free updates. But, if you need support from the developers, you need to pay for a subscription. But, it is good! For me, whenever I need support from the developer, I’ll renew the support for six months or one year! Before selecting a WordPress theme, make sure that you fixed a niche and requirements of your website. After that, choose a trusted source for buying your theme. But, once you set a theme for your website, then try to stick with that theme for few years. Because, in the Search Engine Optimization perspective, changing the design of a theme frequently will badly affect your website ranking & reputation. So, consider your theme purchase for future! In the previous articles, I have already discussed the need for a website as well as the steps we need to consider while building a site for future. It is very easy to create a website. However, it is not that much easy to create a good design for a website. It needs planning, time and effort. One of the most crucial factors of developing a website is fixing a design. While considering a WordPress site, its theme is the most important thing we need to take into consideration. So, make sure that you are fully satisfied with your website design. I hope this article will help a few people to take the right decision in choosing the best WordPress theme for their website. If you have any questions, feel free to shoot a comment below. WOW! You simply nailed this article! You have covered everything! This is an ULTIMATE guide for beginners who are confused in choosing a WordPress theme for their blog! when it comes to choosing a Premium WordPress theme for a blog, I am a great believer of Genesis framework and themes. Their perfectly optimized design and fully customization always make me choose them. Thank you for your comment. Yes, I do recommend Genesis Framework for anyone who want to do serious blogging. By the way, WebWacko is Built with Genesis Framework & Monochrome Pro Theme. The other really important thing to look at is typography. Avoid themes that use ALL CAPITALS in titles, headings or links. Firstly, some screen readers read capitalised text letter-by-letter. The second problem is that capital letters are harder to read for everyone, but especially people with reading disabilities, dyslexia or autism. It is important to be aware that up to 10% of your readers may have dyslexia. The use of ALL CAPITALS or Title Case can reduce the readability of your text. Usability expert Jakob Nielsen has found that reading on screen can be around 25% slower than reading from paper, and reading All Caps can be a further 10% slower. When we read, we don’t actually look at every letter in a sentence, but actually the shapes of the words. When text is in All Caps, the height of every letter is identical making every word an even rectangular shape, forcing us to read letter-by-letter, reducing our reading speed. Welcome to WebWacko and thank you for reading our article on Everything You Need While Choosing a WordPress Theme! Your suggestion is very useful for the readers!